With the release of the the Force and Destiny rule book for the Star Wars RPG, Fantasy Flight Games has finally unveiled the in depth rules on lightsabers - including their cost and customization options. However, these new rules also introduce some new complexity and confusion. In this post we'll be trying to clear that up. We'll take a look at the Basic Lightsaber from Force and Destiny, how it's different from the standard lightsaber that shows up in the other rule books, and the rules behind customizing your own ridiculously sweet energy blades. The Force and Destiny Beta Rulebook includes a whole host of new rules for lightsabers - including hilt customization, and half a dozen different lightsaber crystals which imbue the "basic" lightsaber with a variety of new and interesting powers. 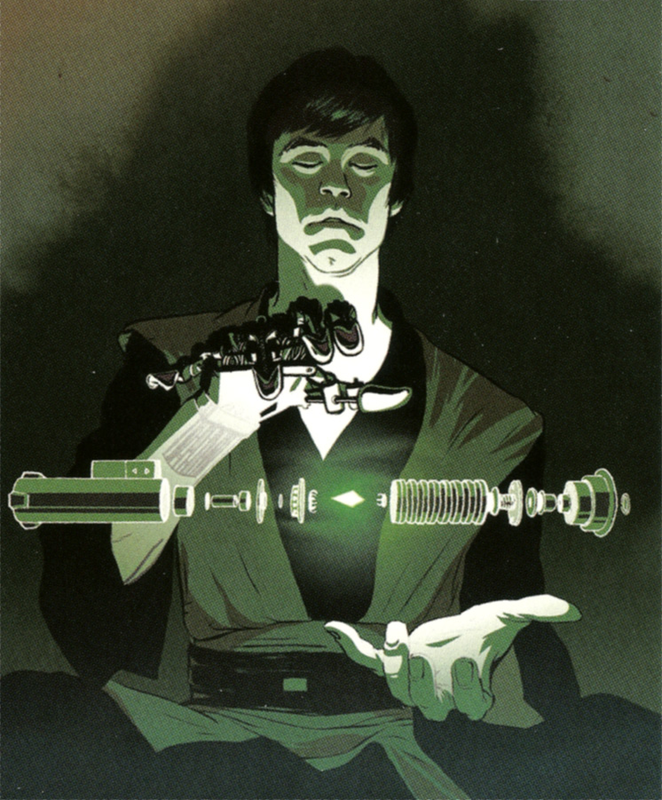 It's enough to make any aspiring Jedi salavate - but the Beta rule book only scratches the surface of lightsaber usage. The Basic Lightsaber is intended to be the simplest version of the lightsaber, upon which further customization can be placed. While that's a notion that seems like it should be straight forward, it's actually a weirdly complex mishmash of weapon rules. If you have either of the other Star Wars RPG rulebooks - Edge of the Empire or Age of Rebellion, you'll notice an major discrepancy between the standard lightsaber stats presented there, and the lightsaber stats for the "basic lightsaber" in Force and Destiny. Namely, they don't match up at all. 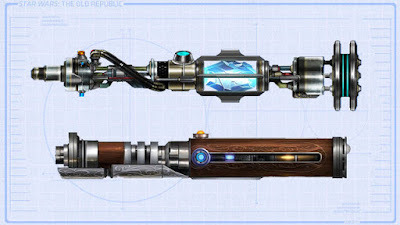 In fact, several types of lightsabers are introduced in F&D, and none of them match up with the stats we were previously presented for the lightsaber. So what's going on? At first glance, it looks like FFG decided to nerf the lightsaber - significantly reducing its damage and critical hit range, along with removing the Vicious quality. It doesn't help that the F&D rulebook doesn't provide an explanation for this seeming discrepancy. What's really going on is that the lightsaber in EotE and AoR is actually a Basic Lightsaber that's been modded out with an upgraded lightsaber crystal. In the FFG system, lightsabers require two parts to work - a lightsaber hilt, and a focusing crystal. Hilts are relatively cheap, just a few hundred credits - and unable to manifest a blade by themselves. It takes the addition of the incredibly rare and expensive focusing crystal to make the lightsaber a weapon. These crystals are, in essence, the soul of the lightsaber. In the game world, there are a wide variety of crystal types, each with their own unique characteristics. In additional to determining the color of the lightsaber blade, the crystal determines the damage, critical range, and other special qualities. Where things get complicated is that it's possible to buy (or find) lightsaber crystals, swapping them out of a lightsaber hilt to change its stats. Moreover, the crystals can be upgraded using the standard weapon mod system, detailed in the rule books. More on this in a minute. So what kind of crystal does the Basic Lightsaber use? 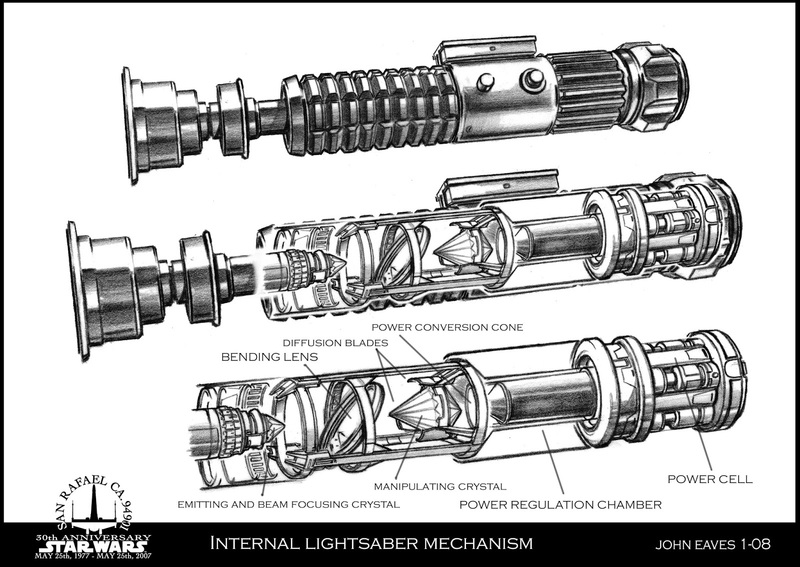 As you can see, if you bought an Ilum Crystal to put in your Basic Lightsaber, it wouldn't change anything. In fact, because the plain lightsaber hilt only costs 300 credits, we can assume the Basic Lightsaber already includes the 9,000 credit Ilum Crystal attachment for a grand total of 9,300 credits. So what's going on with the other lightsaber from EotE and AoR? What kind of crystal does it use? This is where things get tricky. The standard lightsaber that shows up in those rule books also uses an Ilum Crystal. Aha! So if you have an Ilum Crystal in your Basic Lightsaber, and purchase all the mod attachments, you'll end up with the exact lightsaber stats found in the EotE and AoR rule books. Eureka! Weirdly, there is one more slight wrinkle. Functionally, when you add mods to your lightsaber crystal, it works the same as adding mods to your blaster rifle or laser canon. Every mod you add costs an additional 100 credits (cumulative), so those 7 mods together cost a total of 2,800 credits. Assuming we're starting with a Basic Lightsaber, that means the total cost should be 11,800 credits. That price also doesn't factor in the increasingly difficult Mechanics checks that have to be made to install each mod on the crsytal. Mod installation checks start at 3 difficulty, and increase by 1 difficulty for each additional mod. What's more, if you fail your Mechanics check to add a mod to a weapon, that mod can no longer be applied to that attachment. That means it's quite likely that you'll fail to apply at least one mod to the crystal, permanently reducing the lightsabers maximum stats. If that happens your only course of action will be to hunt down a new crystal and start the whole process over again! One, the 10,000 credit price tag given EotE and AoR, is one hell of a deal. Not only does it cost a player 2,800 credits less than purchasing the upgrades yourself, but it spares them the time and pain of making seven, extremely difficult Mechanics checks. Two, the EotE/AoR lightsaber should actual have 3 Hard Points still available for further attachments. Hard Points aren't listed for a lightsaber in those rule books, but based on the F&D rules they must exist! 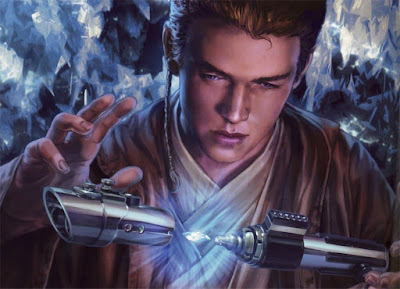 However, a sly GM might consider applying Gene Lock [1 HP] from the Dangerous Covenants source book to an NPC's lightsaber. Not only does that keep the lightsaber out of anyone else's hands, but it can be upgraded with the Self-Destruct mod! It's the perfect solution for stopping the PC's from getting their hands on a lightsaber too early, or through a quirk of bad luck. Alternatively, the GM could use a Gene Locked lightsaber as an adventure seed. 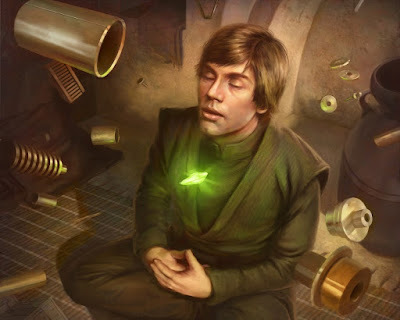 Overcoming the Gene Lock (for instance, by seeking out a highly elusive underworld contact) could be the motivation for an aspiring Jedi warrior - with a very lucrative pay off!